Rating 4.6 based on 68 reviews. We have 1 Williamstown executive office building with a range of temporary office space currently available for immediate occupation with flexible rental terms without the long-term commitments and high overheads of conventional commercial real estate lease agreements. Our ideally located office suites are situated in prime Williamstown, VIC business locations and include an extensive range of services and amenities. OfficeSpace.com.au offers businesses of any size a simple, fast and affordable way to rent temporary office space in Williamstown. Most of the office buildings we list have services like manned receptions, fast internet connectivity and telephone lines. This can help remove the usual process involved in setting up an office, and let you focus on getting up and running. Many of the office buildings offer offices that are fully furnished and equipped, making setting up a very fast process. Some of the serviced offices can also be configured to meet the specific needs of your business. Many office providers will customize the space for you and allow you to decorate to give you more control over your team culture and branding. 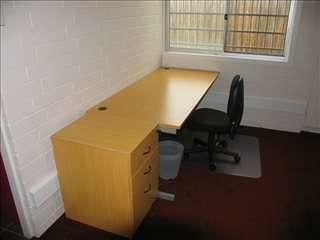 All you need to do is to pick any of the offices for rent in Williamstown above. Every one of the offices boasts a prime business position in Williamstown, with flexible rental terms to suit your office space requirements. OfficeSpace.com.au also offers a extensive range of professional office space in other prime Melbourne locations, available on flexible terms. Contact us today, and we will be do everything we can to help you find your ideal office.